Marco Carola, The Martinez Brothers, Paco Osuna, Josh Wink and Leon At Music On This Friday! This Friday, Music On delivers another great sound installation. Marco Carola will be accompanied by The Martinez Brothers, Paco Osuna, Josh Wink and Leon. The freshness and vanguard embodied by Marco Carola this year with Music On are remarkable, and the atmosphere experienced during all of these months is the result of a brilliant setting blended with a vibrant musical concept. For the first time this summer on the Terrace, we will see The Martinez Brothers and their impressive ability to guide audiences towards their energetic house concept. And as with every shuddering Friday, Marco Carola’s keen musical intuition will wrap up another amazing session outside. Meanwhile, the IAATM Club Room will breathe an intense techno and house show full of eclectic sounds thanks to the execution of three outstanding DJs: Paco Osuna, Josh Wink and Leon. Paco Osuna, one of the biggest legends of the Music On family, will perform his seventh night at Amnesia this summer. Paco is recognised as the greatest exponent of Spanish techno and his sessions every night at Music On are clear proof of that. Josh Wink and his balanced game, between technique, strength and emotion, will be responsible for giving a serpentine twist to the night, while Leon will exhibit his penetrating and extensive tech-house style. 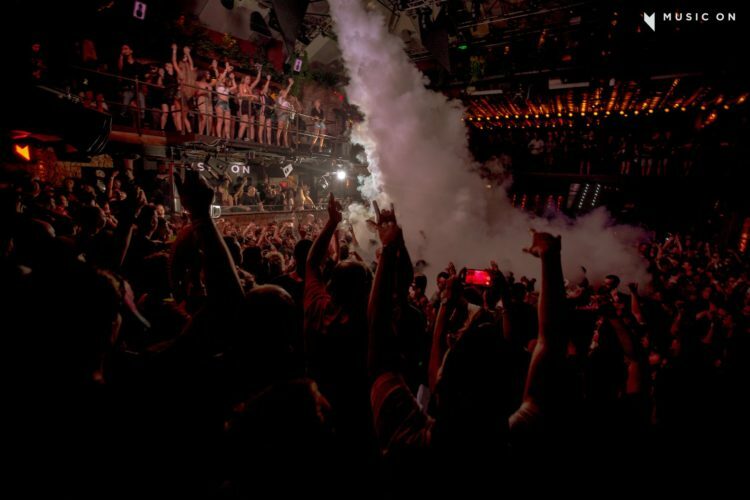 Once more, Music On has put together a thoughtful package which will make the Amnesia Ibiza dance floor the main witness, reminding us yet again that it’s all about music!